Hybrid systems can exhibit a range of pathologies that are hard to rule out without making a modeling formalism overly restrictive. Addressing these pathologies, many of which relate to so-called Zeno behaviors, is a prerequisite to being able to give sound definitions of fundamental concepts in hybrid systems, such as reachability. We propose the use of partial continuous maps (PCM) as trajectories to describe how a hybrid system evolves over time. PCMs enable a notion of trajectory that can go beyond Zeno points. Professor Eugenio Moggi received his MSc from Pisa (1983) and PhD from Edinburgh (1988). He worked at the University of Cambridge, Edinburgh and Pisa, before moving to Genova in 1990. His most well known research contributions include: cat- egorical semantics of polymorphic types, the study of formal sys- tems for partial functions, notions of computations as monads, metalanguages for computational monads and evaluation logic, categorical semantics of program modules, and type systems and operational semantics for multi-stage programming languages. Click here for the lecture video. Joint work with Jakob Grue Simonsen. From a programming perspective, Alan Turing's epochal 1936 paper on computable functions introduced several new concepts, originated a great many now-common programming techniques, including the invention of what are today known as self-interpreters, using programs as data. The 'blob' model of computation is a recent stored-program computational model, biologically motivated and without pointers or memory addresses. Novelties of the blob model: programs are truly first-class citizens, capable of being automatically executed, compiled or interpreted. The model is Turing complete in a strong sense: a universal interpretation algorithm exists, able to run any program in a natural way and without arcane data encodings. The model appears closer to being physically realisable than earlier computation models. In part this owes to strong finiteness due to early binding; and a strong adjacency property: the active instruction is always adjacent to the piece of data on which it operates. Neil Jones is professor emeritus with the University of Copenhagen, Denmark. Research directions follow two directions: programming languages (compiling, program analysis, partial evaluation, semantics); and the theory of computation and computational complexity. He has published books and a number of articles in both areas. Educated in the U.S. and Canada, Neil Jones has been assistant, associate or full professor at the University of Western Ontario, Pennsylvania State University, University of Kansas, Aarhus University in Denmark, and the University of Copenhagen. Click here for a video recording of the lecture. One of the key challenges facing society as our population continues to grow is the demands being placed on healthcare provision. This is coupled with the need to develop new approaches to allow the general public to take more control of their own health and lifestyle management. The increased prevalence of technology usage, its reduced costs and improved processing and communication speeds are all key factors which have resulted in new technology based solutions being investigated to address these challenges. Through a consolidation of sensing technology with the ability to record data, intelligent data analysis to interpret the data collected and personalised interfaces to support interaction with users it has now become possible to deliver support when it is required, where it is required. This core paradigm can be personalised to each individual user’s needs through the analysis of subtle changes over time in an effort to provide a practical framework to self manage both health and lifestyle. This talk aims to discuss the evolution of technological solutions which have been developed to support self-management of health and wellbeing. It aims to discuss the practical challenges associated with creating and sustaining smart environments in addition to assessing the impact which they have made to date. 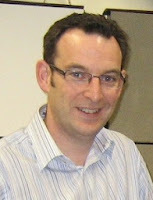 Chris received a Bachelor of Engineering in Electronic Systems and DPhil in Biomedical Engineering both from the University of Ulster in 1995 and 1998 respectively. He began work at the University of Ulster in 1998 as a Research Fellow in the Northern Ireland BioEngineering Centre. From there he moved to a lecturing position in the School of Computing and Mathematics in 2000, to Senior Lecturer in Computer Science in 2003 to Reader in 2006 and to Professor of Biomedical Engineering in October 2008. His research within biomedical engineering addresses the themes of the development and evaluation of mobile and pervasive computing solutions to support ambient assisted living. He has published extensively in these areas with over 350 papers spanning theoretical, clinical and biomedical engineering domains. At present he is Group Leader of the Smart Environments Research Group which was established in 2009. Cyber-Physical Systems require more advanced modeling techniques to capture physicality including time and space, reliability in terms of probabilistic models, connectivity in terms of communication links. More advanced concepts are adaptivity, context awareness,interoperability, and autonomy. This requires a comprehensive integrated modeling framework for requirements specification, modeling of architecture, and tracing their relationships. Manfred Broy is a full professor at the faculty of informatics at the Technische Universität München holding the chair for software & systems engineering. His research interests are in software and systems engineering comprising both theoretical and practical aspects. His current research interests are: System Development Processes and Tool Support, System Modelling, Requirements Engineering, Concurrent and Embedded Systems, Theoretical Foundation of Informatics, Quality, and Requirements Engineering, Systems Engineering, Cyber-Physical Systems. (*) The image is taken from Prof. Broy's webpage. We have been working on the design and implementation of HydLa, a high-level modeling language for hybrid systems. The principal feature of HydLa is that it employs a constraint-based formalism both in the modeling and reliable simulation of hybrid systems. The formalism is declarative and yet provides the language with control structures including synchronization and conditionals that are expressive enough to model hybrid systems. It also allows us to handle uncertainties or partial information in a smooth way. A HydLa program is a set of constraints that describe the properties of systems using (among others) ordinary differential equations, implication, and a temporal operator. Constraints form hierarchies that define priorities between them. In determining the set of trajectories, a maximal consistent subset of the set of constraints is taken that satisfies the requirements of HydLa's declarative semantics. Modeling with constraint hierarchy provides us with a concise mechanism that makes trajectories well-defined without causing over- and under- constrainedness. Our publicly available prototype implementation of HydLa features symbolic simulation of models with parameters, nondeterministic search based on automatic case analysis, and bounded model checking. The talk will describe an overview of the language with live demonstration of our implementation. Kazunori Ueda received his doctoral degree from the University of Tokyo in 1986. He was with NEC and the Institute for New Generation Computer Technology (ICOT) from 1983 to 1992, where he designed Guarded Horn Clauses (GHC), the basis of the Kernel Language of the Fifth Generation Computer Systems (FGCS) project. 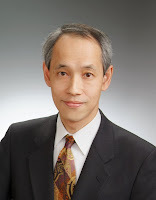 He joined Waseda University in 1993 and has been Professor since 1997. He was or has been Visiting Scientist/Professor at National University of Singapore, National Institute for Informatics, and Egypt-Japan University of Science and Technology. 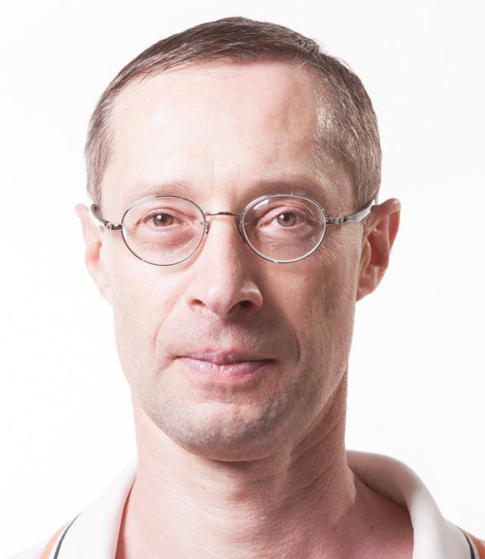 His research interests include design and implementation of programming languages, concurrency and parallelism, high-performance verification, and hybrid systems. His recent projects include LMNtal, a programming and modeling language based on hierarchical (hyper)graph rewriting, and HydLa, a constraint-based modeling language for hybrid systems. He acted as Area Editor of Theory and Practice of Logic Programming, Associate Editor of New Generation Computing, and Editor-In-Chief of Computer Software (Journal of Japan Society for Software Science and Technology). He is currently Co-Chair of Asian Association for Foundations of Software. He was awarded IBM Japan Science Prize (in Computer Science) for his research on concurrent logic programming languages. Next generation of Machine-to-Machine (M2M) networks will be dealing with billions of devices connected over wireless networks. This talk will focus on data analytics for M2M applications. It will use connected car environments for illustration and point out why data analytics in M2M offers some unique challenges. Modern vehicles are embedded with varieties of sensors monitoring different functional components of the car and the driver behavior. With vehicles getting connected over wide-area wireless networks, many of these vehicle performance-data along with location and user-behavior information are now accessible to the automotive OEMs and aftermarket vendors. This data offer rich source of information about the vehicle and driver behavior. Once this is combined with other contextual data about the car, environment, location, and the driver, it can offer many new possibilities. Distributed data analytics powered by onboard analysis of data and predictive modeling is changing the face of such vehicle telematics applications for the consumer market, insurance industry, car repair chains and car OEMs. This talk will offer an overview of the market, emerging solutions, and identify some of the unique technical challenges in doing analytics for M2M environments. It will describe how advanced data analysis can help decision making in a connected car environment opening up the scope for innovation. 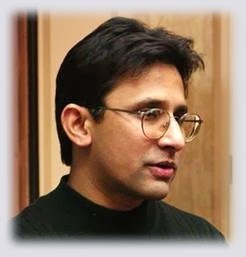 Dr. Hillol Kargupta is a Professor of Computer Science at the University of Maryland, Baltimore County. He is also a co-founder and President of AGNIK, a vehicle performance data analytics company for mobile, distributed, and embedded environments. He received his Ph.D. in Computer Science from University of Illinois at Urbana-Champaign in 1996. His research interests include mobile and distributed data mining. Dr. Kargupta is an IEEE Fellow. He won the IBM Innovation Award in 2008 and a National Science Foundation CAREER award in 2001 for his research on ubiquitous and distributed data mining. He and his team received the 2010 Frost and Sullivan Enabling Technology of the Year Award for the MineFleet vehicle performance data mining product and the IEEE Top-10 Data Mining Case Studies Award. His other awards include the best paper award for the 2003 IEEE International Conference on Data Mining for a paper on privacy-preserving data mining, the 2000 TRW Foundation Award, and the 1997 Los Alamos Award for Outstanding Technical Achievement. His dissertation earned him the 1996 Society for Industrial and Applied Mathematics annual best student paper prize. He has published more than one hundred peer-reviewed articles. His research has been funded by the US National Science Foundation, US Air Force, Department of Homeland Security, NASA and various other organizations. He has co-edited several books. He serves as an associate editor of the IEEE Transactions on Knowledge and Data Engineering, IEEE Transactions on Systems, Man, and Cybernetics, Part B and Statistical Analysis and Data Mining Journal. He was the Program Co-Chair of 2009 IEEE International Data Mining Conference, General Chair of 2007 NSF Next Generation Data Mining Symposium, Program Co-Chair of 2005 SIAM Data Mining Conference and Associate General Chair of the 2003 ACM SIGKDD Conference, among others. The continuous increase of software complexity in embedded systems reflects on applications consisting of a large number of concurrent activities that share common computational resources. Several of such applications have stringent performance requirements and may have to execute on different hardware platforms, including multi-core heterogeneous architectures with specialized computational units. Designing, analyzing, and programming such complex systems is currently done by ad-hoc practices, which often lead to inefficient solutions and unpredictable behavior. The development of a solid design framework for exploiting next generation platforms represents a key research challenge for the near future, affecting operating system mechanisms, analysis methodologies, and development tools, which today are mostly available for single core platforms. The objective of this talk is to introduce the key requirements that a software framework should have to simplify programming, analysis, and implementation of parallel real-time applications on multi-core platforms. 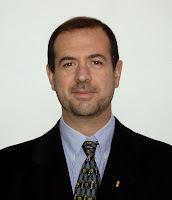 Giorgio Buttazzo is Full Professor of Computer Engineering at the Scuola Superiore Sant’Anna of Pisa. He graduated in Electronic Engineering at the University of Pisa in 1985, received a Master in Computer Science at the University of Pennsylvania in 1987, and a Ph.D. in Computer Engineering at the Scuola Superiore Sant’Anna of Pisa in 1991. He has been Chair of the IEEE Technical Committee on Real-Time Systems, and Program Chair and General Chair of the major international conferences on real-time computing. 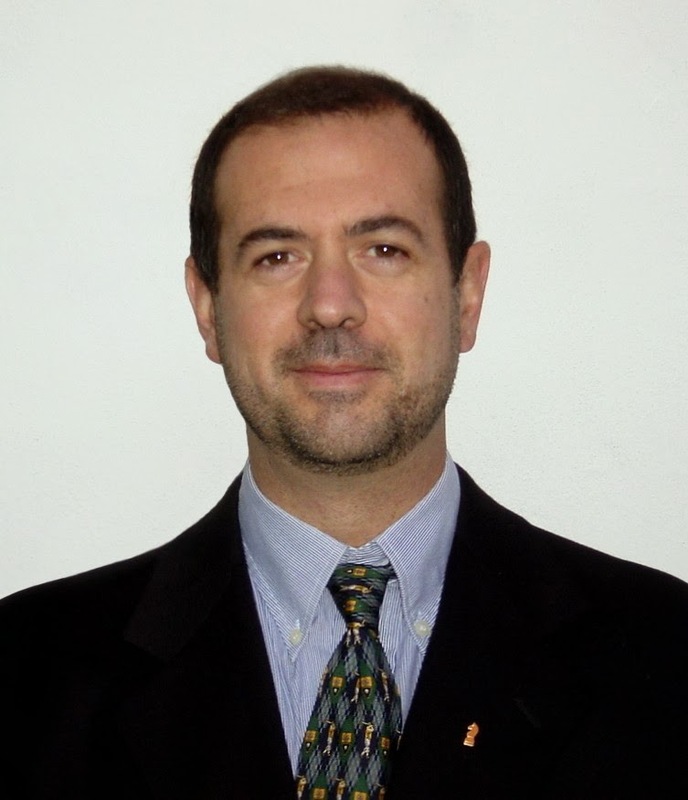 He is Editor-in-Chief of the Journal of Real-Time Systems (Springer) and Associate Editor of the IEEE Transactions on Industrial Informatics. 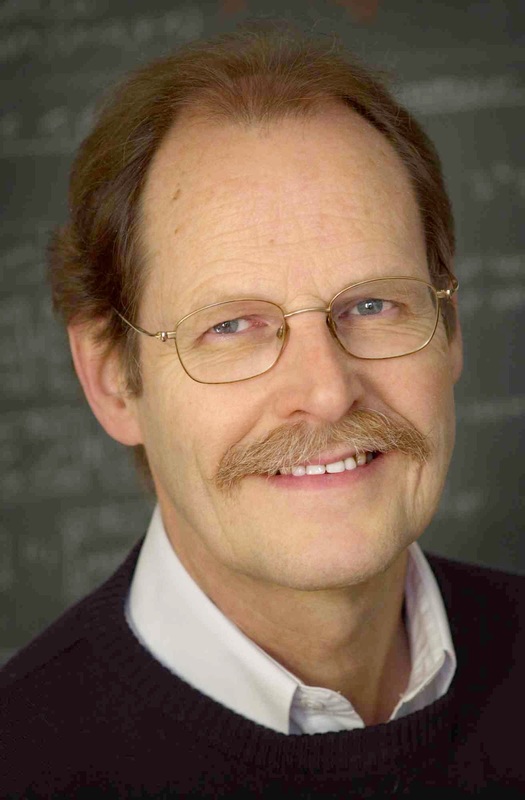 In 2012 he become IEEE Fellow "for contributions to dynamic scheduling algorithms in real-time systems". In 2013, he received the Outstanding Technical Contributions and Leadership Award, from the IEEE Technical Committee on Real-Time Systems. He has authored 6 books on real-time systems and over 200 papers in the field of real-time systems, robotics, and neural networks.